This watch features a contemporary design. It has a 44mm steel case with a polished and satin finished. 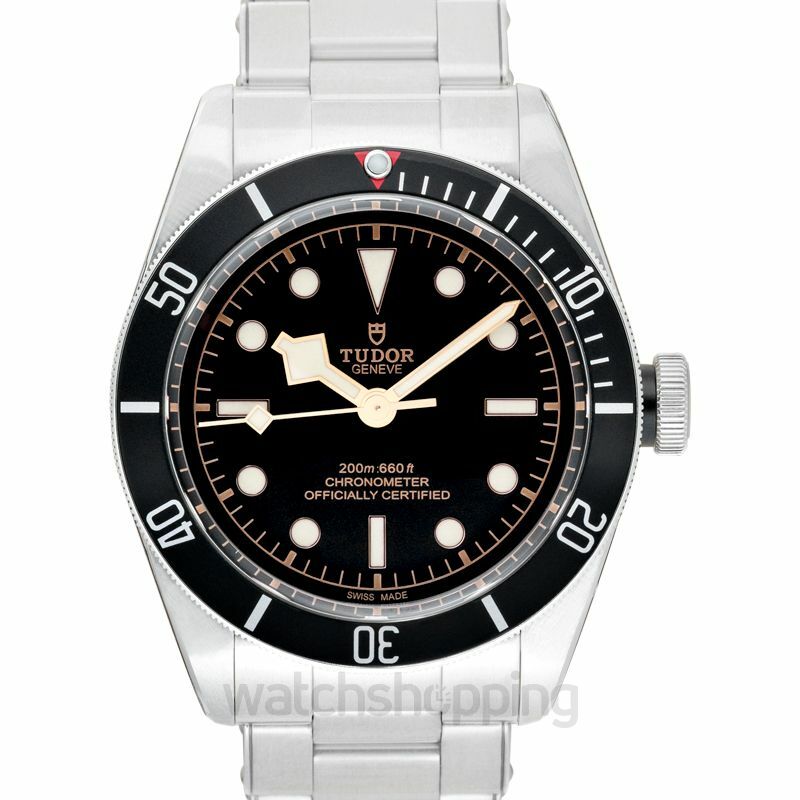 The dial is black that has white index markers and hands with hints of gold. The bezel is unidirectional with a matte black anodized aluminum disc. For the band, it has a rivet steel bracelet with a folding buckle and safety clasp. Not only is the watch waterproof up to 200 meters it also has a power reserve of 70 hours making the timepiece more than reliable.